I always see people posting spell-checker errors..... 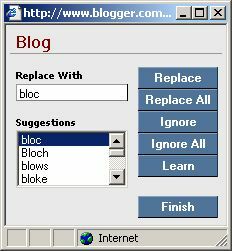 This was generated by the one here at Blogger.com!! Blows?